The most beautiful part of the work of those involved in tourism is that they meet  new people. A couple that we really enjoyed staying at Anemes Hotel were Mr. C. and Mrs. B. Thank you very much for the detailed and excellent article that they  wrote about our Island. 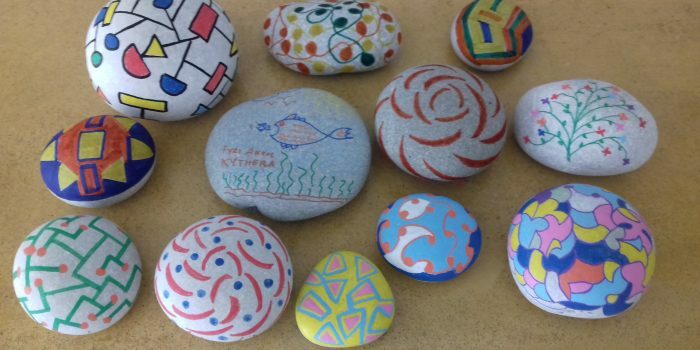 The pebbles, painted by Mr. C.